Coveted for timelessness of design, beauty of detail, unsurpassed quality and luxury, Galanos’ clothes are worn by the world’s most glamorous, elegant and very particular women, who never, ever part with them. 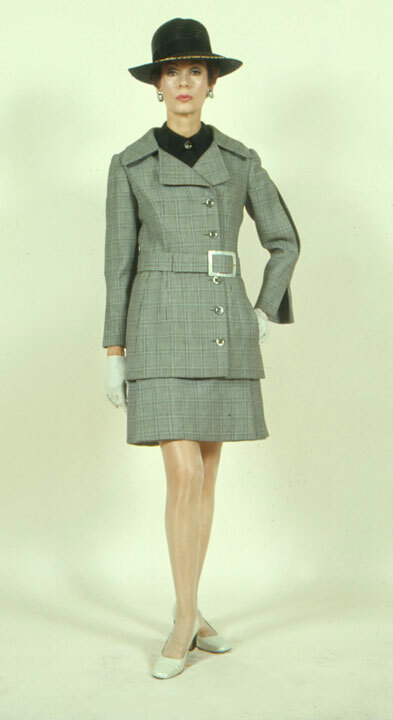 Often referred to as “the American Balenciaga, Norman Norell was, contrary to the accepted notion, the first designer to outfit women in a tuxedo. Celebrated for the famous sequined “mermaid dresses” and the utterly pristine little jersey dresses, absent of everything but perfection of cut and fit (and which some of us deeply mourn having given away), Norell won the first-ever Coty American Fashion Critics Award. He went on to take four more and, in 1956, was inducted into the Coty Hall of Fame.